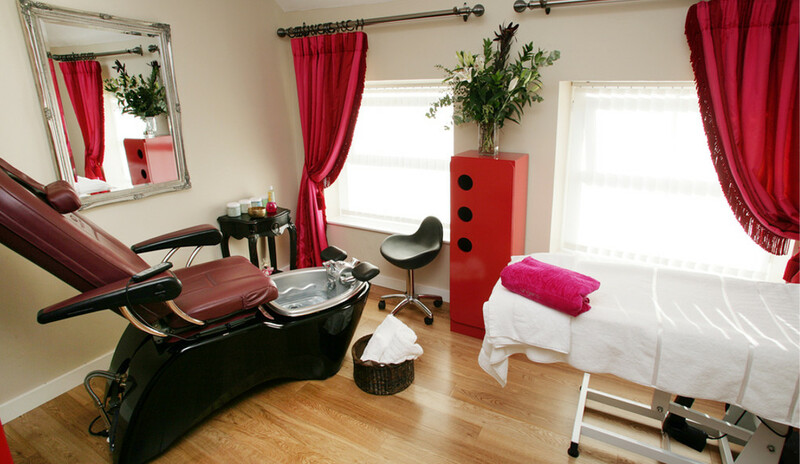 Rouge Beauty Clinic is based in Moy, County Tyrone. Here you will find an exceptional salon offering the ultimate escape from the pressure of the real world. Rouge is about more than the treatment , it is about relaxing in peaceful surroundings away from the hustle and bustle of everyday activity. Rouge is individual with a unique sense of style and ambiance that awaits male and female clients. You will find relaxing rooms with explosions of luxurious fabrics draped in pinks and reds accompanied by crystal chandeliers, giving an aura of chic. All staff is trained to the highest standard of beauty, always having our customer’s interests at heart. The rouge team is always eager to be kept updated in new treatments, techniques and trends. The proprietor of Rouge, Andrea Murray has over 13 years experience in many different areas in beauty. Working with top magazines, on the front covers, fashions shoots, as well as working alongside top hair stylists on L'Oreal Colour Trophy, Wella Trend Vision and Ulster Rose of Tralee. All these areas give her the ambition and drive to ensure continued success for Rouge Beauty Clinic. There is no therapy like beauty therapy and Rouge are experts in this field. I certify that this review is based on my personal experience of Rouge Beauty Clinic and is my opinion. I have no business or personal link with Rouge Beauty Clinic and have not been offered payment to write this review. By providing these comments you give Good Salon Guide permission to review and publish this information. Good Salon Guide reserve the right to edit comments for length, spelling or clarity where appropriate. As part of this appointment request Good Salon Guide will record your name, email address, telephone number and appointment details. This information will be passed to Rouge Beauty Clinic by email, through the Good Salon Guide app and over the telephone. This data will not be shared with any other companies and we will manage your data in line with your preferences below.